I thought it was a much-improved performance from the Springboks this past weekend, and they certainly had opportunities to win the game. To some extent, the Boks were architects of their own downfall. It’s always dangerous to write off a Springbok side, and it was evident the visitors were up for the game. I felt the forwards played particularly well and really fronted up to the All Black pack. When the tight five is on song, it makes it easier for the loose forwards to play. Francois Louw certainly gave a good account of himself against Richie McCaw. In truth, the hosts didn’t play very well at all. It’s clear that Piri Weepu doesn’t really suit the All Blacks’ style of play and once Aaron Smith came on in the second stanza, I felt he made a big difference. Their gameplan requires a halfback with speedy service and the ability to snipe around the fringes. I feel the Boks missed a real opportunity to get a win in New Zealand, which was a pity. Had Morne Steyn had his kicking boots on, there is no doubt the Boks would have won the game. Steyn is usually a sound goal kicker, but a 20% success rate is simply not good enough at international level and unfortunately for him there’s a price to pay. While Heyneke Meyer may be tempted to keep Steyn at flyhalf for the home Tests, I think Johan Goosen is the way to go. While I’m aware it’s different starting as opposed to coming on for the final 20 minutes, Goosen has a good temperament and has shown he is comfortable at international level. Goosen presents a lot more challenges to defences than Steyn does. He will give the Boks a lot more options on attack and make them less predictable. I think Meyer has to make the move now. While Meyer has made it clear that he is not going to alter his gameplan – which relies on the forwards gaining the physical edge – the reality is that there is a lot of kicking in our repertoire. The Boks’ strategy is fundamentally to play for territory and therefore their kick execution has to be spot on. Some pundits may suggest that the Boks’ ill-discipline is a growing concern after bans for Eben Etzebeth and Dean Greyling. I don’t think either are malicious players, but I have no doubt Meyer would have spoken to them about playing with channelled aggression. Greyling’s elbow on McCaw was however over the top and certainly unacceptable. At this stage, It’s pretty much the All Blacks’ competition to lose. They have won all their home games and have crucially beaten Australia away from home. Having lost away to Australia and drawn with Argentina in Mendoza, the Boks have made life difficult for themselves. Australia, whom the Boks face next, where quite fortunate to beat Argentina on the weekend. Had Robbie Deans’s side lost to the Pumas, there’s no doubt he would have come under increased pressure. Whether the ARU would have taken a decision to let him go is difficult to say. Deans is clearly a good coach, and in fairness, he’s had a plethora of injuries to key players. Argentina were unlucky to lose, and in all three away Tests, they have come out with a lot of credit. They have shown they belong at this level, which is a positive for the competition going forward. The Boks’ home games are massively important and the expectation on the team will move up a notch. The expectation will be to win both games, which the Boks are certainly capable of achieving. It’s a massive advantage that both Tests will be played up country. Going forward, the Springboks need take their opportunities. In the last Test, those came in the form of kicks for goal. The Boks need to be more clinical in everything they do, and I’m certainly taking the Boks to beat the Wallabies on home turf. I think Meyer may well give Goosen a full go against the Wallabies. It would great to see Goosen paired with Francois Hougaard and Pat Lambie brought in at fullback, which will give the Boks more of a cutting edge on attack. Alan Solomons was assistant coach to Nick Mallett when the Springboks went 17 Tests unbeaten. 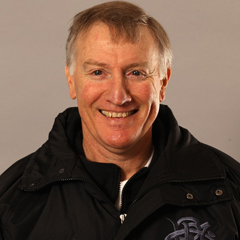 He is currently EP Kings’ Director of Rugby and is a consultant to the IRB.